Playing one of your best friends in singles is never easy, especially if you have to come back later in the day and play doubles with them. 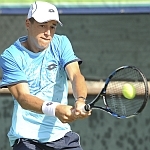 But it’s what the unseeded Carson Branstine from the City of Orange, Calif., was faced with Tuesday on Day 2 at the 12th Annual USTA International Spring Championships, an ITF Level 1 tournament being played at StubHub Center in Carson. Branstine handled it calmly and collectively, eliminating No. 8 seed Taylor Johnson of Redondo Beach, Calif., 6-3, 6-7 (7), 6-3, in singles, and coming back later in the day to team with Johnson to beat their first-round opponents needing a super-tiebreaker, 4-6, 7-5, 10-6. Earlier this year, Branstine qualified for a $25,000 USTA Pro Circuit Futures event in Rancho Santa Fe, Calif., and then fell to pro player Asia Muhammad in the first round of the main draw of her first pro event. 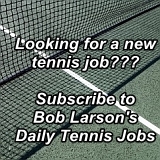 Just 15 years old and now part of a growing number of players entered in the Carson tournament who were born in the 2000s, Branstine just last week won the 18s singles at the ITF Grade 4 Newport Beach Bowl where she won five of seven three-set matches, including the final where she beat American Ann Li 7-6 (1) in the third. 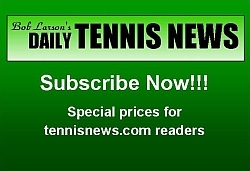 The tournament was played at the Tennis Club at Newport Beach where she trains with the Grand Slam Tennis Institute. Last month, Branstine was invited by the USTA to play in an exhibition match against fellow junior and another good friend Tyra Hurricane Black at Madison Square Garden in New York City. 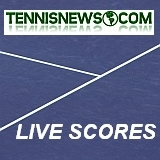 The event was an opening match presented by HEAD Penn Racquet Sports as part of World Tennis Day and was a warm-up act for the annual BNP Paribas Showdown featuring Gael Monfils, and world No. 4 Stan Wawrinka, as well as former world No. 1 Caroline Wozniacki and 21-time Major Champion Serena Williams. 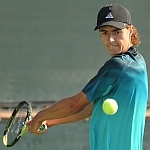 The boys Newport Beach winner wasn’t as fortunate in his first-round match on Tuesday as Keenan Mayo of Roseville, Calif., fell to Alafia Ayeni of San Diego, 6-3, 6-2. Late Monday night, No. 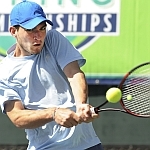 7-seeded 18s player Zeke Clark from Tulsa, Okla., finished up his first round close to 10 p.m. with a 6-4, 6-2 win over Brian Shi of Jericho, N.Y.
Clark is currently a senior at Riverfield Country Day School in Tulsa and trains at the Trent Tucker Tennis Academy. He is set to play on scholarship next fall at the University of Illinois. Clark is currently ranked No. 66 in the world ITF rankings. “A few good weeks and maybe we can make that happen,” he added. In the Girls’ 16s, Eryn Cayetano of Corona, Calif., who trains with the RAMP Tennis Academy at StubHub, felt right at home with her huge 6-4, 6-1, upset over top-seeded Kacie Harvey in the second round.